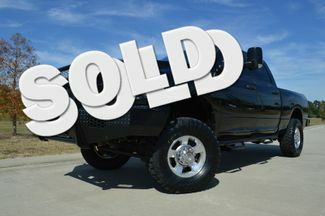 You are looking at a 2014 Dodge Ram 2500 Crew Cab 4x4 . It is powered with a 6.7L Cummins I-6 and a automatic transmission. It is equipped with power trailor mirrors, power windows,power locks am/fm radio, spray in bedliner, 5th wheel rails,and receiver hitch. Also included is two keyless remotes and the owners manual . Mechanically, this truck starts right up and runs great.The transmission shifts smooth. The a/c blows ice cold. The front end appears tight. The four wheel drive functions properly. The tires are NEW! !